Customized Exercise Guidelines for Expectant Moms? Yes, Please! During my pregnancy, I tried to be active most days. I walked, jogged, lifted weights, did yoga. Basically, if it felt good, I did it. But the looming question was always there, the universal question every exercising mom-to-be wants to know: How much exercise should I be getting during my pregnancy? The good news is that it looks like we may finally be getting some answers! Researchers at Johns Hopkins Bayview Medical Center in Baltimore are having expecting moms lace up their tennis shoes to find out how much exercise is acceptable for a developing fetus. About 60 women are in the study, from fit runners to couch potatoes. 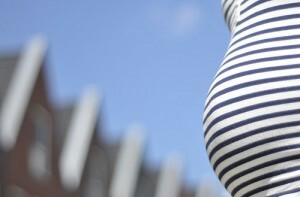 Doctors in the study said that many women will stop exercising when pregnant for fear of harming the baby (um, check!) but exercise is beneficial for both the baby and the mother. The doctors in the study hope to eventually be able to develop personalized exercise schedules for all expectant mothers.